TunnelBear, a neat and super-simple Canadian VPN service, has just launched a new solution to secure your connection in an even easier way. With this Chrome extension that you can download from the Chrome Webstore, you will be able to circumvent geo-blocking and add a layer of encryption to your browser with just one click. 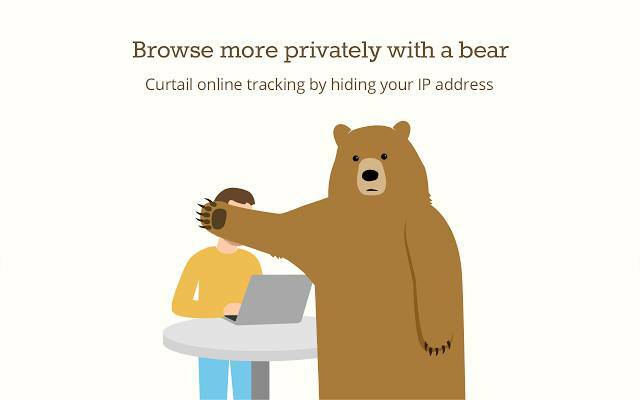 Contrarily to traditional VPN services, TunnelBear Chrome extension only encrypts your browser traffic. It can be useful if you can't or don't want to install a full-fledged VPN software, as it doesn't modify your computer's connection settings. Nonetheless, with TunnelBear new Chrome extension, you can tunnel to 14 locations, which is definitely useful to stream media from Netflix or other services if you live in an unsupported country. However, TunnelBear for Chrome doesn't offer the same level of privacy and resistance to censorship as its full, installed version, as you can see on their help center article. While the full version of TunnelBear supports AES-256, this extension can only encrypt with Chrome built-in AES-128 encryption. In fact, the extension has these limitations because this is no VPN at all, but rather an encrypted proxy. 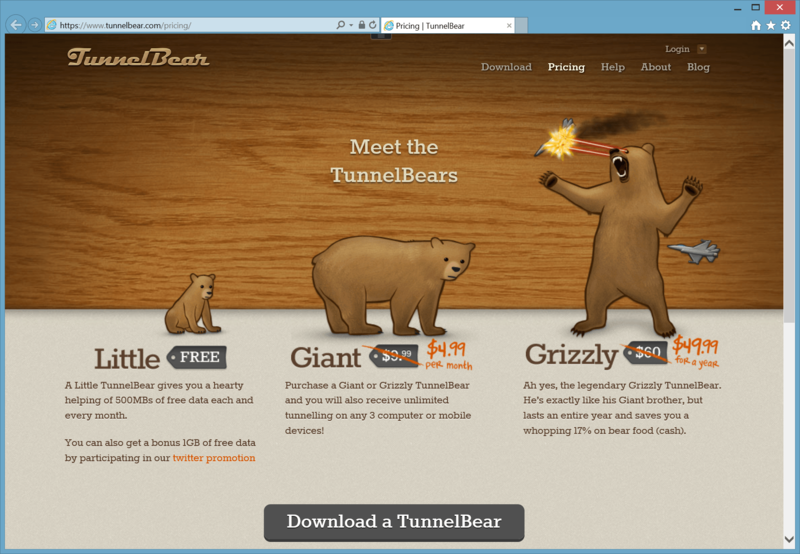 TunnelBear has a freemium business model, that is to say they offer a free limited tier (500MBs of bandwidth per month, which you can increase by 1Gb if you tweet about them) and a premium unlimited tier at $4.99 per month or $49.99 per year, namely Giant and Grizzly plans. 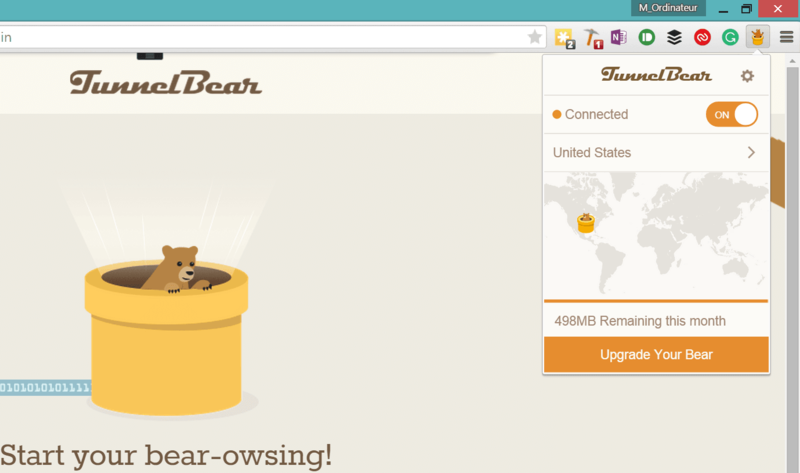 If you spend most of your time in your browser, you should try TunnelBear for Chrome. This release will also be good news for all those who have Chromebooks (computers with only Chrome), as this is the first time TunnelBear is available for this platform. Is Your Anonymity Compromised Over the Internet?